CARLE PLACE, NY., April 17, 2019 /PRNewswire/ -- Today, 1-800-Flowers.com introduced its 2019 Local Artisan Collection, featuring an exclusive assortment of arrangements designed and inspired by talented local florists throughout the U.S. The collection, which includes 16 truly original bouquets, arrives just in time for Mother's Day gift-giving. Each year, 1-800-Flowers.com hosts a number of Local Artisan Design Workshops, bringing together select groups of florists from across the country to discuss trends, share ideas and collaborate with its product development and merchandising teams. As part of these workshops, florists use their creativity and design expertise to develop unique product concepts for seasonal and everyday occasions. 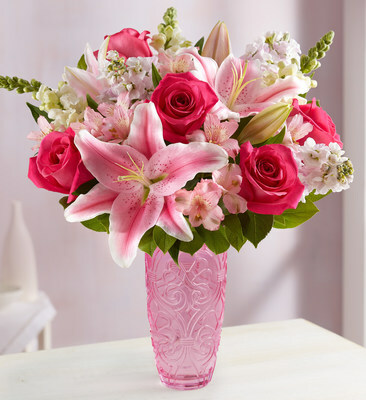 Exceptional designs are selected to become part of the 1-800-Flowers.com Local Artisan Collection, and the arrangements become available for sale nationwide. "The Local Artisan Design Workshop is one of our signature programs for bringing constant innovation to our product assortment," said Valerie Ghitelman, Vice President, Product Development and Design, 1-800-Flowers.com. "Each arrangement featured in the Local Artisan Collection is a reflection of the design expertise, imagination and local flair that are hallmarks of the thousands of talented florists we work with in communities across the country. We are so proud to offer this exclusive collection, just as our customers get ready to celebrate mom on her special day." 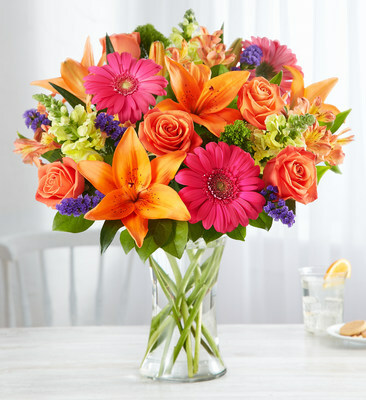 Arrangements in this year's collection range from $39.99 - $124.99 and are available now at 1-800-Flowers.com. Breanna Cartwright: Fresh Ideas Flower Company, Modesto, CA Breanna's love affair with flowers began when she took a floriculture class in high school. Now, as an accomplished floral designer for more than 16 years, she has created four arrangements for the 2019 Local Artisan Collection: Spring Surprise Bouquet™, Always On My Mind™ Flower Bouquet, Vibrant Floral Medley™ and Enchanting Unicorn™. Develyn Reed: 1-800-Flowers.com | Achara Florist, Stafford, VA Develyn's hidden talent as a floral designer was discovered when she was working as a part-time sales associate in a local shop. Now, as head designer and store manager of the shop, her amazing creations are well-known throughout the local area. 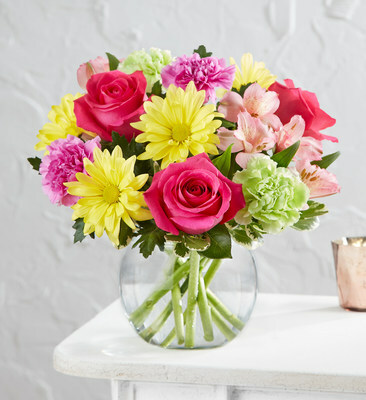 Develyn's featured arrangements are Mother's Embrace™ and Sensational Spring Beauty™. Tricia Smith: 1-800-Flowers.com | Twinbrook Floral Design, Fairfax, VA When she was about 12 years old, Tricia would help her mom as she created wedding flowers from their home. This experience helped her land her first job at a florist when she was 15, and her career blossomed from there. Today, Tricia owns her own floral shop together with her husband – in fact, he proposed to her there. Tricia designed the Floral Treasures Bouquet™. Ann Marie Pierce: 1-800-Flowers.com | Imperial Florist, Baldwin, NY A veteran of the floral industry, Ann Marie has owned and operated her current shop for nearly 30 years. She has a thriving wedding flower business, the result of her many enthusiastic referrals. Her designs are Splendid & Sweet™ and Sunburst Bouquet™. Ashlee Roberson: Simply Roses, Ormond Beach, FL Ashlee's parents opened their shop almost 30 years ago, when she was six. Today, she is the owner and head designer of the family-owned shop, where she enjoys working alongside her mother and sister. Ashlee's featured design is the Vibrant Gem Bouquet™. Jackie Lacey: Floriology® Institute, Jacksonville, FL A highly-accredited and award-winning floral designer, Jackie's industry experience spans 32 years. A former retail florist, today Jackie serves as Director of Education and Industry Relations for the Floriology Institute, where he shares his passion for floral design with florists across the country. His creation is the Modern Rose & Gerbera Daisy Bouquet. Margaret Fleegal: 1-800-Flowers.com | Twinbrook Floral Design, Fairfax, VA Margaret began her floral career in the mass market industry, where she discovered a desire to create her own designs. She began to learn everything she could about the business and worked to develop her own unique style, eventually opening her own shop nearly 25 years ago. Margaret's design is Sunset Passion™. Matthew Wohlfahrt: Floral Concepts, Houston, TX Matt's love of flowers was instilled in him by his maternal grandmother, a certified green thumb. After graduating from North Texas University, Matt joined the family business. Today, the Wohlfahrt family owns and operates five flower shops throughout the Houston Metro area. Matt's inspiration behind his design, Radiant Gem™ Bouquet, is his wife's favorite jewelry. Vivian Chang: 1-800-Flowers.com | Conroy's in Los Angeles, CA With a love of both flowers and being creative, Vivian started designing arrangements as a part-time job when she was in college. As soon as she finished school, she opened her own floral shop. A florist now for 35 years, Vivian happily enlists her husband and sons as holiday help. Vivian's design is By the Seashore™. Wendell Cook: 1-800-Flowers.com | Nancy's Floral, Gresham, OR Wendell's degree in horticulture has served him well during his nearly 60 years as a floral designer. His career in the floral industry began when he worked in greenhouses after college. He then went into business for himself, taking his family along for the ride. Wendell's creation is Bountiful Basket™. Yunus Daginawala: 1-800-Flowers.com | Conroy's in Encino, CA An award-winning floral designer for eight years and counting, Yunus loves flowers, but his passion for pizza is a close second. Yunus was introduced to the floral business by his uncle who also owns a flower shop in the area. Hawaiian Hugs & Kisses™ was designed by Yunus. Customers can learn more about these talented florists and stay up-to-date on all the differentiated product offerings at 1-800-Flowers.com via Facebook, Twitter, Instagram and the Petal Talk blog.